Tracey Richardson and Karen Legasy are members of the Canadian contingent of the Bella Books family. They have chosen to set their 2018 novels (I’m Gonna Make You Love Me and Kindling for the Heart, respectively) in their home country and in their hometowns. While both books are romance novels, their Ontario settings couldn’t be more different. Tracey takes readers to the southern most part of Canada, in the peak of summer, just a stone’s throw from the American city of Detroit. In Karen’s novel, it’s the height of winter and the story takes place in a rural and northern part of the province. Think crackling fires, the great outdoors, the rustic living of a small city. 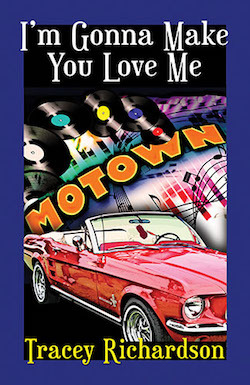 In Tracey’s novel, it’s classic cars, hot sun and Motown music blaring from the speakers. Hard to believe both could be set in Canada, and together the two novels perfectly illustrate the diversity of this country to the north. Q: Why set your novel in Canada? Why now? Tracey: I’ve set one other novel in Canada (Blind Bet), and parts of a couple of other novels in Canada as well (Delay of Game and No Rules of Engagement), but it’s been awhile, and certainly the majority of my novels have been set in the U.S. I’m Gonna Make You Love Me is entirely set in Canada, and for the first time, all my characters are Canadian (they even say “eh” a few times in the book!). The timing of bringing my stories back to Canada feels right, especially with the uncertain political climate in the States. I’m hoping readers are looking for an escape, and I think it’s well past time to showcase more of our wonderful country here to the north. Karen: My Forever Hero, my debut book, is set in Australia with Marlee a vacationing Canadian tourist. 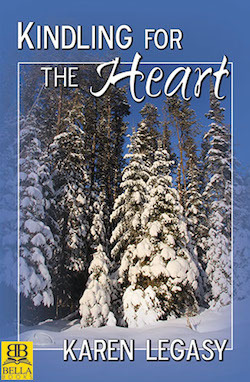 My second romance, Kindling for the Heart is set in Timmins, Ontario during the middle of a cold and snowy winter. 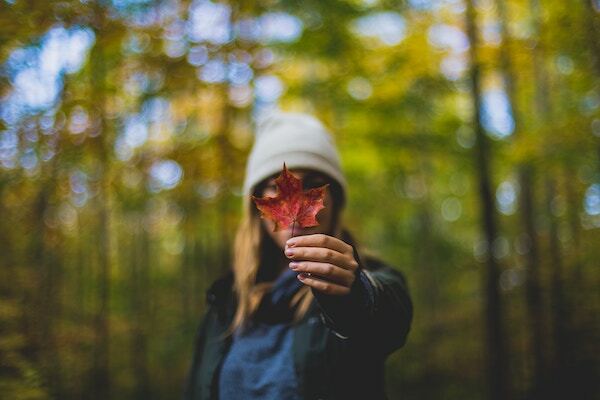 I chose to set Kindling for the Heart in Canada, in my hometown of Timmins, because the setting is close to my heart and it seemed the natural place for Jo and Sam to meet. It’s like sharing a piece of me with my readers. Sometimes I also feel like hibernating back into my comfort zones, especially after watching the news these days. Canada is indeed a wonderful country and I’m proud to portray some of its beauty that I know best in Kindling for the Heart. Q: Explain what sets your home area apart and what it was like growing up there. Karen: Timmins is approximately an eight-hour drive north of Toronto. It’s quite a ways up there in Northeastern Ontario and I guess you could say it’s a bit remote. At least that’s how I felt as a lesbian coming out in the mid 1990s. 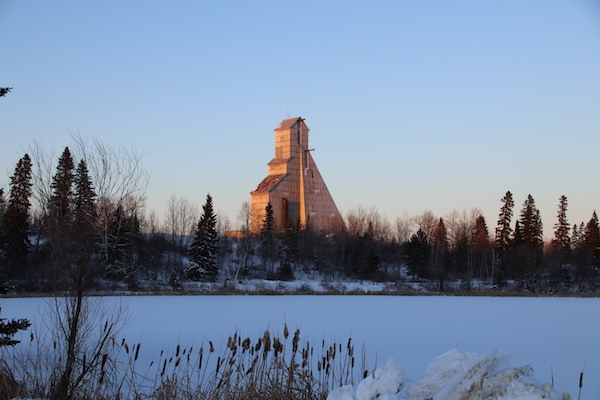 Timmins is a resource town with forestry and mining as its main industries. I’ve worked in both, but mostly forestry. Many people who live in Timmins love the north and would never consider living somewhere else—like Jo in Kindling for the Heart. Also known as the ‘city with a heart of gold’, Timmins is the hometown of Shania Twain. She went to the same high school as I did and worked at the same McDonalds, but we never did meet. Although I now live in Ottawa, I always enjoy going back to Timmins. It just felt right to put it on the lesfic map. Tracey: Windsor, Ontario, is right across the river from Detroit, so I totally grew up in the shadow of the mighty USA. Until I moved away from that area in my twenties, I realized I suffered from an identity crisis, actually feeling more American than Canadian. Culturally, my news, music, film and television tastes were all very much influenced by America (even my accent), thanks to the geography. I still very much embrace some of those cultural experiences, particularly music. Growing up in the 1970s, Detroit was a treasure trove of music. Motown music was king (queen?)! I loved it, because it was so unique and very much iconic and I wanted to pay homage to it in a novel. Nothing said Detroit, and by extension Windsor, like Motown music back then. The Motown record label at the time even featured a map on which my little town could be picked out. I loved that! A little bit of trivia for fans of lesbian fiction is that the city of Windsor is also Katherine Forrest’s hometown! Q: Was it easier or more difficult to write a novel based in your home area? Would you do it again? Tracey: It’s definitely easier, because you don’t have to do as much research. But it’s almost too familiar, to the point where you have to pick and choose what things you want to highlight because you can’t include everything. In I’m Gonna Make You Love Me, I pretty much honed in on the things that meant a lot to me as a kid (the old military fort, the Detroit River, and the carhop restaurant that still exists today). I would probably set another novel in that area again but haven’t decided for sure. It’s possible my next novel will again be set there. Karen: In some ways, I found it a bit more challenging because I’m very introverted and writing a lesbian romance set in my hometown was a big deal for me. It was also easier though, writing about a place that I’m overly familiar with and is a part of me. I’m contemplating writing a historical romance set there during the gold rush of the early 1900s, but am not sure yet. It’s on my list of possibilities because I think it would be fun to research and share Timmins’ colourful past. Q: The characters in your new novels, could you see them in any other setting…for instance, a different city or a different country? Karen: For sure. 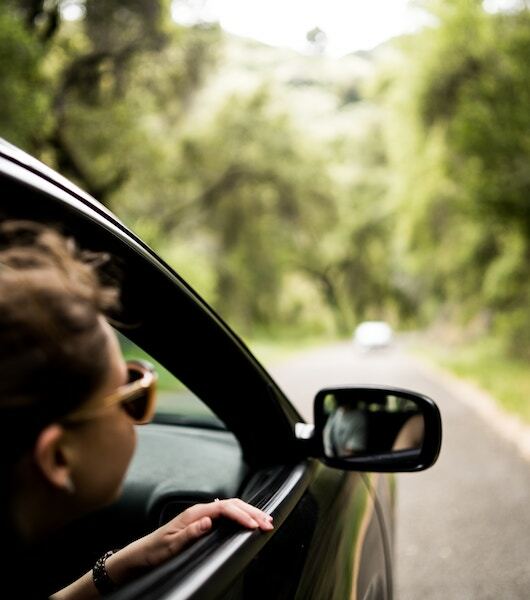 Jo could be a forester in any number of other communities, including ones in northern states like New Hampshire, while Sam a criminal lawyer from Toronto, could just as easily be from someplace like Chicago. In writing Kindling for the Heart, I wanted to create a story that could take place in any small community. The vast Ontario landscape just seemed a fitting place to have two women confronted with the challenges of distance and different backgrounds. It could also take place wherever there’s a small town and a big city far away. Oh yeah, and lots of snow. Tracey: I actually think my characters Claire and Ellie were meant to be in Windsor. Claire is a newspaper editor (at the same newspaper where I actually worked for a brief time as a reporter) who gets drawn into a big story that has cross-border implications (not uncommon at all in that area). And then of course there’s the mighty presence of Motown music in the story, to the point where it’s almost like another character. Definitely, this story needed to be in the heart of Motown without actually crossing the border into Michigan. In other words, it’s as close to Detroit as I could make it while keeping it Canadian. But having said that, I’m Gonna Make You Love Me is a universal love story, and Claire and Ellie could have met anywhere and sparks would still have flown! Q: How does it feel being part of such an international group of authors with Bella Books? Tracey: I think it’s so exciting. When I first started doing this, there weren’t many authors living outside the U.S. Now, the Bella family has grown to include authors from so many different countries, which can only lead to a richer reading experience for our fans. When it comes down to it, we all share a love for women, and for books, and those are truly the ties that bind us, no matter where we hail from. Karen: I feel as though my world has opened up since joining the Bella Books team of authors. 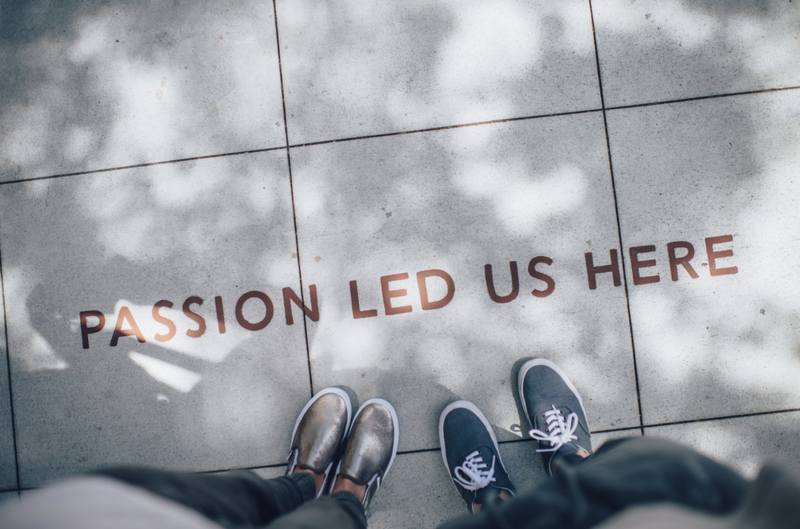 When Tracey first approached me to write a joint blog to talk about why we both set our latest books in our Ontario hometowns, I was thrilled! The first book I read of Tracey’s was No Rules of Engagement, almost ten years ago. I thoroughly enjoyed the story and wanted to know a bit about the author. I remember how excited I was to discover Tracey is Canadian, and from Ontario no less. It also gave me hope that one day I too would eventually have a lesbian romance published by Bella Books. Kindling for the Heart is available now. I’m Gonna Make You Love Me comes out this December.